What if the greatest villain in Gotham City was not The Joker, but the Batman? That question is at the core of the epic eight-part limited series BATMAN: WHITE KNIGHT, which features the writing and art of Sean Murphy. 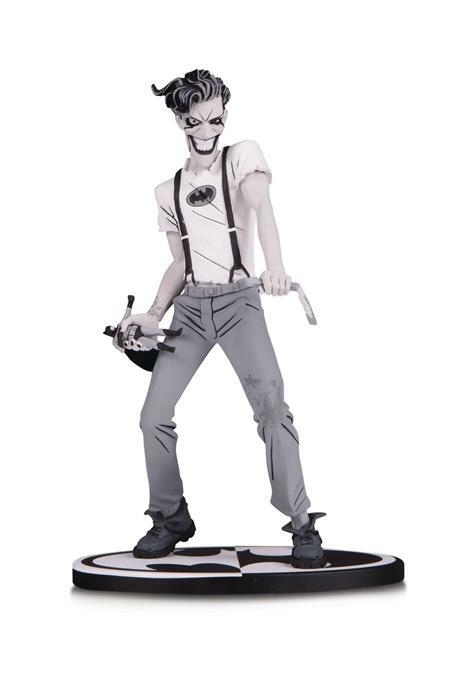 This limited-run Batman Black & White statue presents a highly detailed version of Murphy's Joker, a nuanced, populist hero to the working men and women of Gotham. Trading his suit for streetwear, this Joker-known as Jack Napier in his moments of sanity-fights to end corruption and brutality from the city's ruling class. On his own or paired with the Batman Black & White: White Knight Batman, this Joker makes a great addition to any collection. Limited to 5,000 pieces. Individually numbered. Statue measures 7' tall. Allocations may occur.